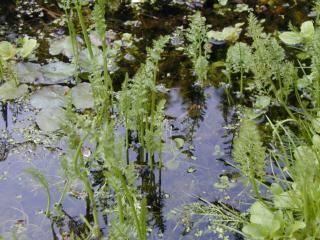 There is a whole family of water dropworts. These are interesting plants in their own right and spme of them make excellent pond plants: indeed I have seen a variegated water dropwort being sold commercially. Some of the water dropworts propagate by falling over: see water plant propagation. 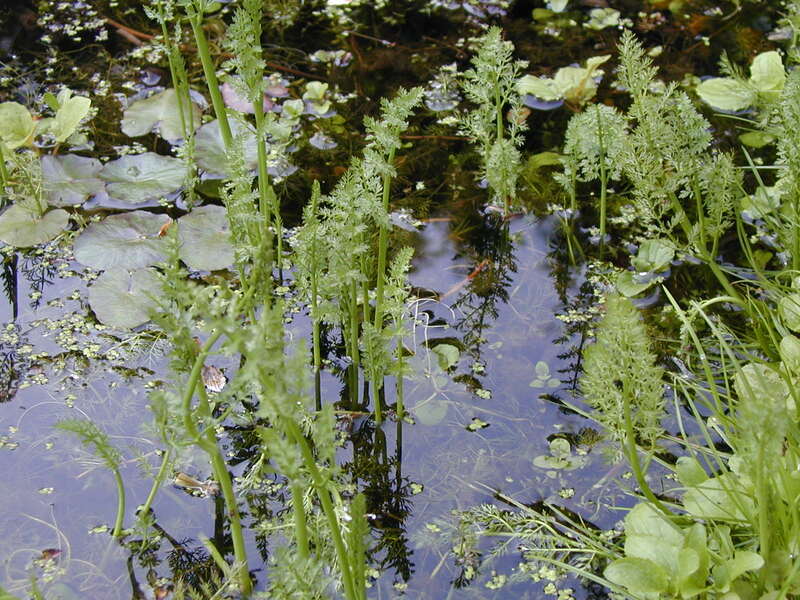 The Water Dropworts are (probably all) extremely poisonous. Hemlock Water Dropwort in particular is about the most poisonous British plant. The photo shows a group of Oenanthe fistulosa Tubular Water Dropwort in my pond, where they are a striking plant, The foliage is pretty, they thrive but are not invasive and they have a pretty white flower later in the year (July to September). Its name derives from the fact that its stems are hollow. It grows to about 50cm and, as it is a thin-stemmed plant, then tends to fall sideways - when roots form at the top nodes and the plant shoots up vertically again. It is also stoloniferous - sending out root like 'stolons' which form new plants as they progress.